The ultimate expression of style. Forever Sparkling. Forever in Fashion. Forever French. Sourced from the finest terroirs throughout France, Haute Couture is a sophisticated expression of centuries’ old French sparkling winemaking expertise. Haute Couture's design team utilises unique intuition and talent lies in crafting the perfect blend of grapes from distinct terroirs. Haute Couture Maison's style has a very unique way of blending the best of what France has to offer. Of course, they are from Burgundy so the blend begins with Chardonnay for the Blanc and Pinot Noir for the Rosé. The stylist’s secret is the key to her creation. Haute Couture is a composition of the best of France has to offer tailor-made into a beautiful elixir. 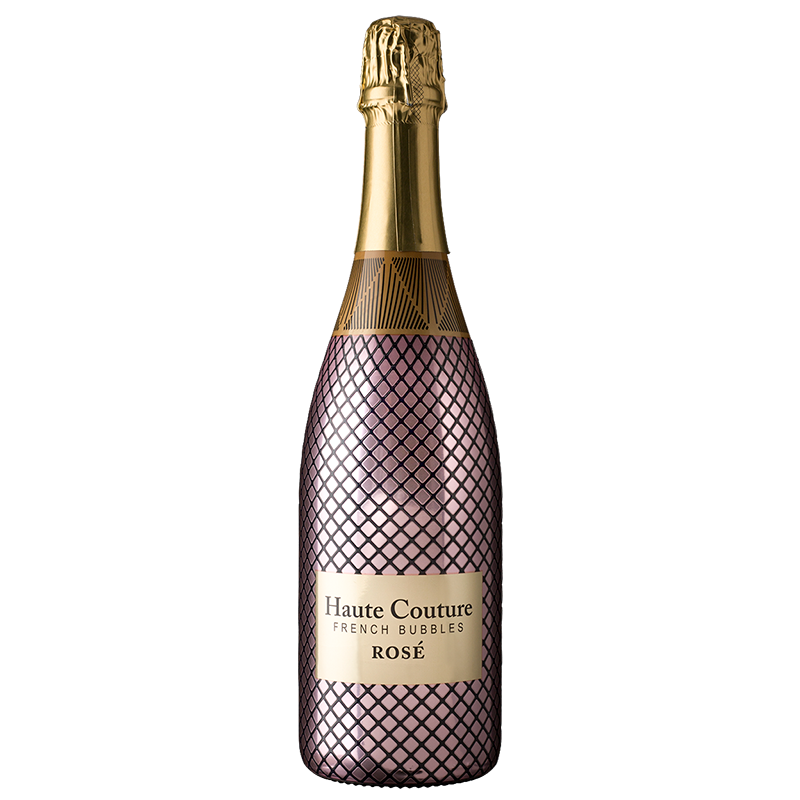 Haute Couture French Bubbles epitomises a decadent style of ultimate sophistication, delicate bubbles and a graceful palate. The grapes were pressed and fermented into a still wine. After blending, the wine was bottled with the liqueur de tirage to start secondary fermentation in the méthode traditionnelle or traditional method. After disgorgement and right before final corking, dosage of 22g/l was added for a hint of richness. Pale yellow in colour with a fine and persistent bubble stream. The nose displays intense layered notes of pear and peach over a background of toasted bread aromas. It’s full on the palate, with just a touch of sweetness. Perfect with sushi and small bites. The grapes were pressed and fermented into a still wine. The wine was bottled with the liqueur de tirage to start secondary fermentation in the méthode traditionnelle or traditional method. After disgorgement and right before final corking, dosage of 27g/l was added. Perfect with fruit tarts, macaroons and cupcakes.